Home of the Lakers, Showtime, and now King James. 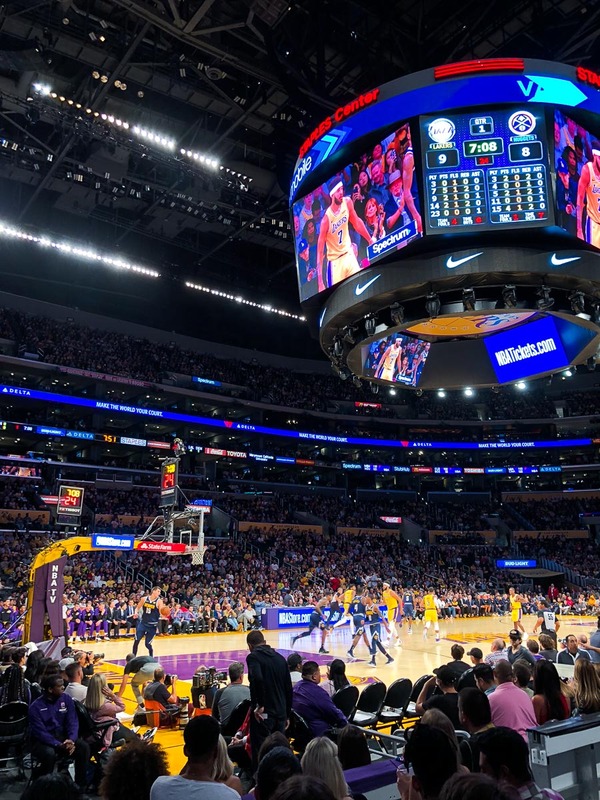 The 2018 NBA season has arrived, and although the games don’t really count, the buzz in LA feels like playoff basketball. My wife, sister and I went to the very first LeBron James at Staples Center game and the crowd was electric. 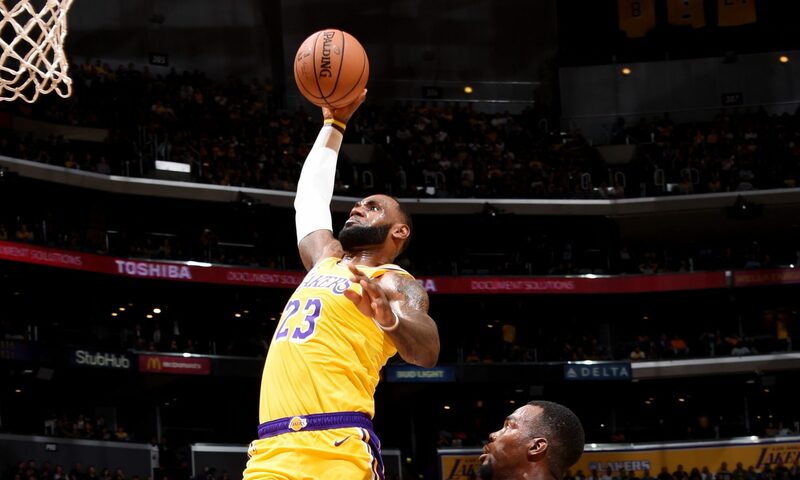 Even though this game doesn’t affect the season, when LeBron James dribbled coast to coast for the dunk in the second quarter, the place went crazy! It felt like Shaq/Kobe or Magic/Worthy type excitement. We had so much fun at the game and despite the Lakers falling to my hometown Denver Nuggets, the play was competitive. This was my very first time seeing LeBron in person and it felt very similar to the days of watching my idol Magic Johnson play live. He is truly an amazing athlete and the things he is doing off the court as well, make me a fan. Team LeBron for me!! Although LeBron is the new King in town, Magic Johnson is the GOAT! 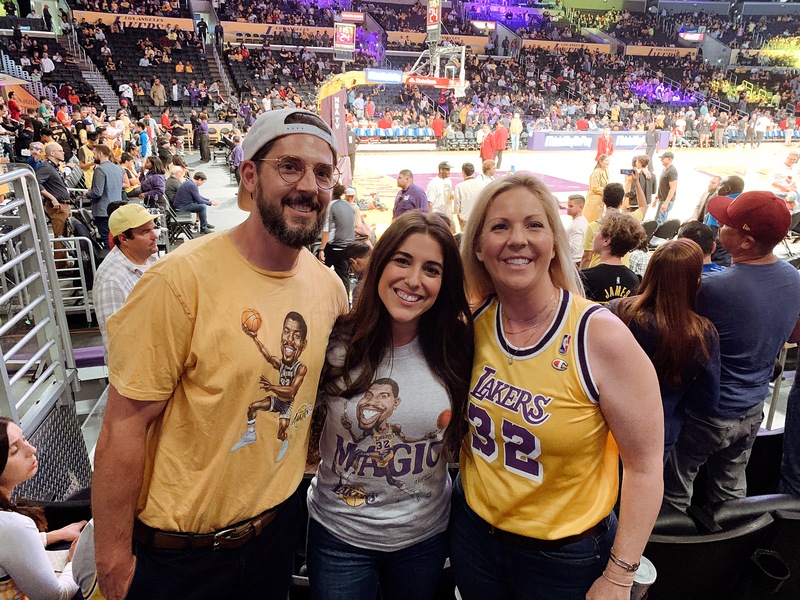 Here we are – my wife, sister and I in our Magic Johnson gear. Marlene’s Magic tee was mine when I was a kid. In the suburbs of Denver, Colorado in the 80’s, I grew up as a Magic Johnson fan. I would go see the Lakers play the Nuggets in Denver any chance I could. But I dreamed to see a game in the bright lights of LA at the The Forum. 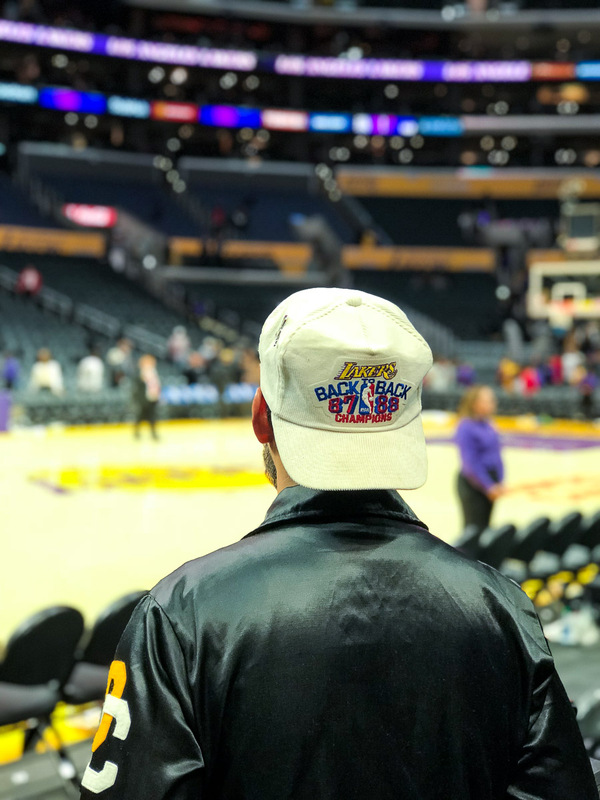 I finally saw a game after the Magic era in the late 90’s before they moved to the Staples Center. I saw the likes of Jack Nicholson and that was back in the day when the Lakers had Dennis Rodman. But when I moved to LA in 2002, Showtime basketball was once again alive with Shaq and Kobe and then again with Kobe and Gasol. It has been a few years since the Lakers were competitive, but when LeBron decided to take his talents to LA, the city feels like it has a chance again. 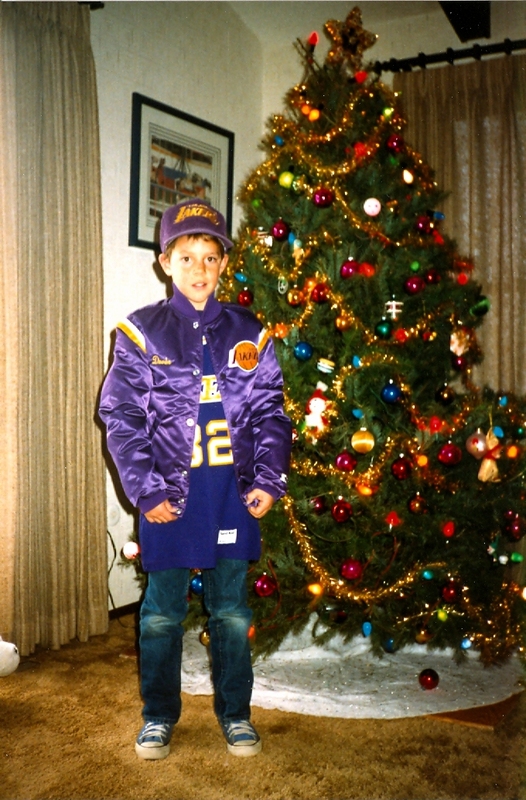 Here I am at about 10 years old, with my very own Lakers hat, jacket with my name on it and a #32 jersey, Magic Johnson. Despite the look on my face, I am so excited for my Lakers gear. Forever a Lakers fan! Can’t wait to see how this season unfolds and see another game live – one that counts this time!